This procedure starts before you purchase any equipment. Some questions need to be answered and a basic design needs to be formulated. What is this amp going to power-up? Sub-woofer? midrange and tweeter combo? coaxial speakers? What impedance load will you be using? By paying attention to this impedance matching process you will save money, time and get the performance you want. This is determined by the speaker or speakers that you have or will be purchasing. Also called impedance matching. 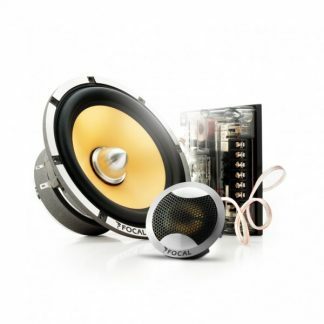 Example: Your heart is set on a single JL 10w3v3 woofer. It comes as a 4 ohm impedance. By looking at its specs JL recommends a max of 300 watts. 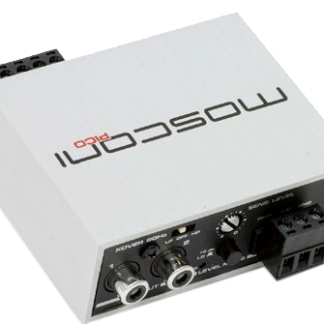 You should be looking for an amplifier that makes 150 to 300 watts at a 4 ohm load. Now lets complicate things: you have changed your mind and want two JL 10w3v3 woofers. If both woofers are 4 ohm each and are wired in parallel is now is a 2 ohm load. Now you should look for an amp that can 400 to 600 watts into a 2 ohm load. The same thing applies to midrange and tweets with the exception that the normally provided cross-over module is will show a 4 ohm load to the amplifier. How many channels due want or need? Mono amps (one channel) are most common for running sub-woofer systems. There are 2 channel amps that can be bridged into one channel. There are 3 channel amps, 4 channel amps, 5 channel and 6 channel amps. A very common set-up is the use of a 4 channel for the mids & tweets, (front and rear) with a separate mono amp for the sub-woofer system. Again you need to apply the impedance matching rule to all channels. 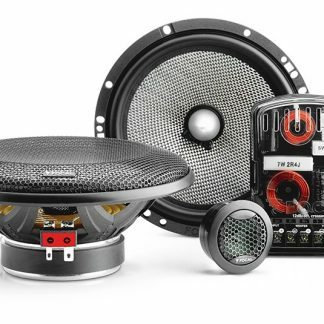 Find a location in the vehicle where you can install the amp that has some ventilation,can be accessed for tuning and will be out of the way of feet, golf clubs etc..
Now that we settled on a plan for what speaker/amp combo that will be used lets pick out the proper wire kit to interconnect the amp to the vehicle. Please see graph for wire size. Refer to the Amplifier owners manual for current draw specs. If using multiple amps simply add up the current draw of each amp. Example: Mono amp has a max current draw of 50 amps and your 4 channel amp can draw 25 amps. Total of 75 amps of current draw. Plan for 100 amps draw. Better to round up. Lets assume you need a 4 gauge wire. You only need the positive wire from the battery post. Do not hook this large wire to the fuse block under the hood or any other power distribution provided by the vehicle’s builder. Go to the battery terminal. Make a solid connection with proper terminal connector. Install a fuse holder in-line with in 18 inches of the battery. This is to protect the wire and the car. Inspect the firewall of the vehicle for an entry point for the wire. If you can use a existing penetration,do it ,if you have to drill a hole use a grommet to pad the edges of the hole. Do not run the battery wire along with the low level audio cables!! Do not run the wire thru the door jam!! Do not install fuse until the amp is ready to turn on!!!!! The ground wire should be no longer than 3 feet. Ground wire for the amp should be solidly bolted to clean metal. Sand off paint. A self tapping screw is not good enough. Use a nut and bolt, tighten well. Remember that we are trying to pass as many electrons thru this point as possible. Do Not Ground to the battery!!!! The sheet metal of the car acts as a filter against noise and there are way more electrons in the sheet metal than any wire. Do make sure that the battery is also grounded to the chassis of the vehicle. In extremely high powered installs (over 1500 watts) upgrading the charge line from the alternator and enlarging the battery to chassis ground wire is necessary. Step back and plan this entire run of wires. It will save you much time and aggravation. How many channels do you need? Are the speaker wires to be found in the dash? Plan the course for running the audio interconnects and make sure the cables are long enough. Then create a bundle by attaching a wire (blue 18 gauge) for remote turn-on and a wire for a bonding ground (black 18 gauge) to run along with your audio cables. Use simple black tape and only use one small band about every 18 inches. Do Not wrap the entire wire bundle. If you are doing a multiple channel install this is a good time to catch the speaker wires at the dash (if they terminate there) and run them with the audio interconnect cables. When running the amp interconnect cables (or low level audio cables,same thing) start from the head unit and work towards the amp, leave enough cable at the head unit to allow for removal but not so much that they won’t fit in the dash. Work your way to the amp trying to make sure you that the cables will not be pinched under seat bolt or something else. At the amplifier make sure to terminate the wires properly.